The results are in from the sixth annual Young Gardeners of the Year competition! 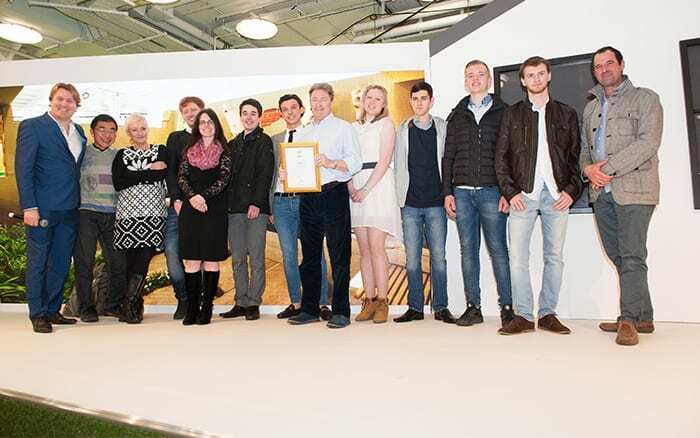 The contest sees students from six of the UK’s leading horticultural colleges build show gardens in just six days. What are the gardens judged on? The judges were looking for high quality gardens and landscaping with excellent plant and feature choices. The design should make the best use of space and height and include elements of harmony, sustainability and tranquility. Students showed the judges around the garden and explained their inspirations and how they built the garden. Each garden is awarded a medal: gold, silver gilt, silver or bronze. Judges then award one garden the Best at Show trophy, crowning those students the Young Gardeners of the Year 2016. See each college’s garden below and find out what medal they received. 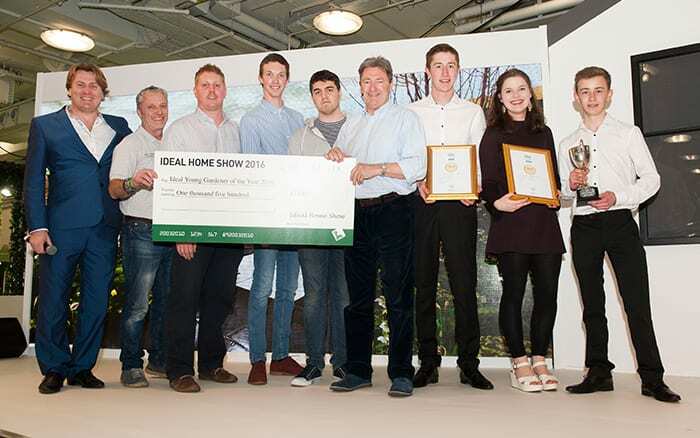 Plus, find out who won the coveted Best at Show trophy! 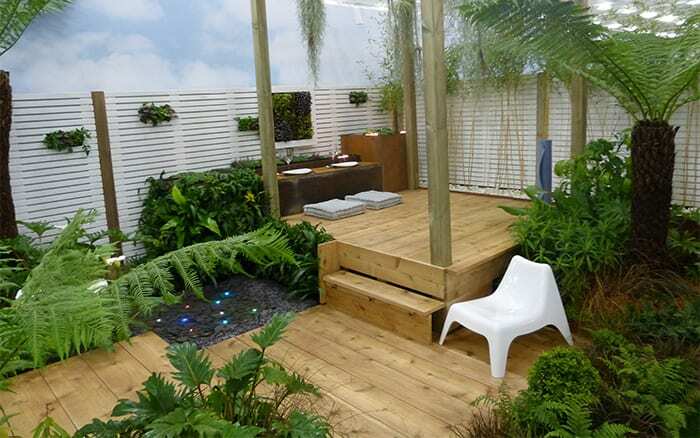 Students from Capel Manor college built a tropical yoga retreat garden, full of lush planting and rich timber decking. Judges described the garden as tranquil and relaxing, with high quality flooring and different levels. They admired the plants and called the build quality ‘excellent’. Capel Manor College was awarded a Silver Medal. 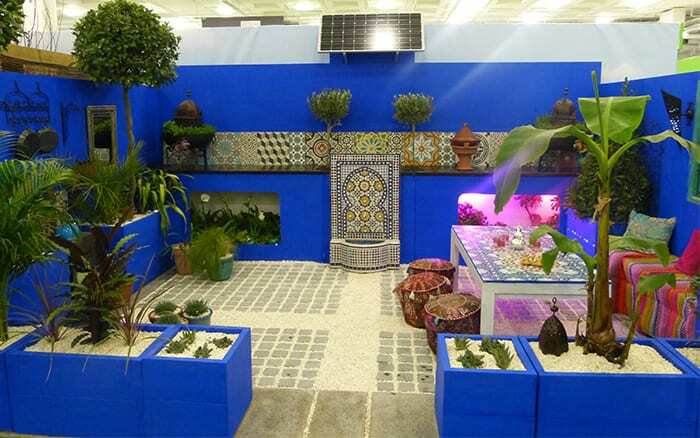 Students from Shuttleworth College designed a Moroccan-themed garden with a bold blue theme colour and decorative tiling alongside architectural plants. Judges thought the garden was beautiful, with intricate details and great accessories. They said the garden had a lovely ‘feel’ from the tropical plants and water feature. Shuttleworth College was awarded a Silver Medal. Students at Chichester College designed an elegant, low-maintenance garden with emphasis on shape and structure, including domes and spheres. 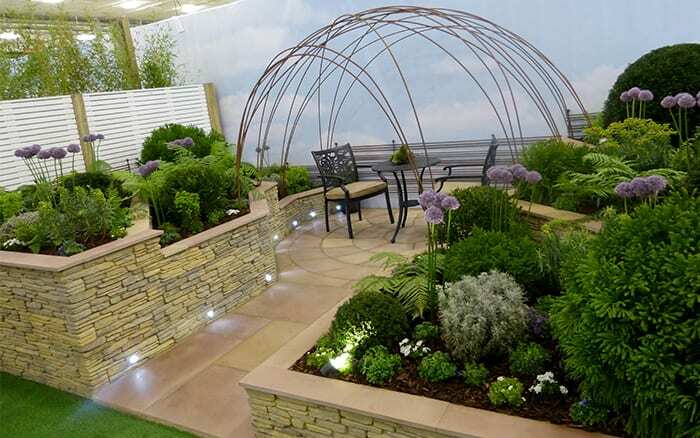 The judges described the garden as very high quality, noting that it could easily have been built by professionals. They loved the symmetry and planting too. Chichester College was awarded a Silver Gilt Medal and the People’s Choice Award for the public’s favourite garden. Students from Askham Bryan College created a contemporary woodland garden with trees, spring plants, lush wall planters and timber features. Judges called the garden ‘a delight’ and praised the creativity and gorgeous plants. They were also impressed by the display of traditional skills and homes for wildlife. 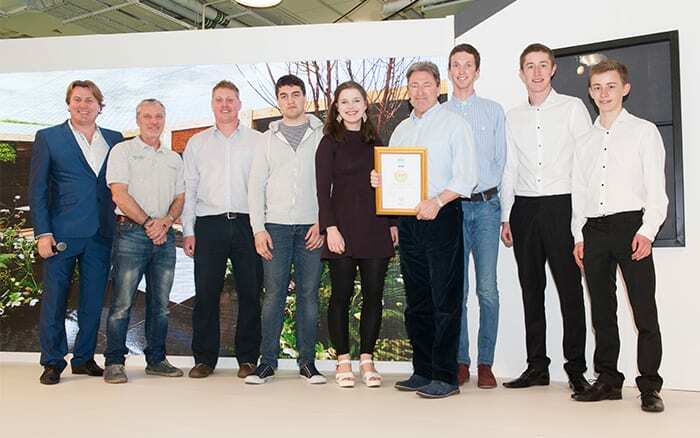 Askham Bryan College was awarded a Gold Medal. Students at Pershore College built a lush garden exploring spirals and patterns in nature. They included QR codes on the plant labels to direct visitors to an online plant catalogue. 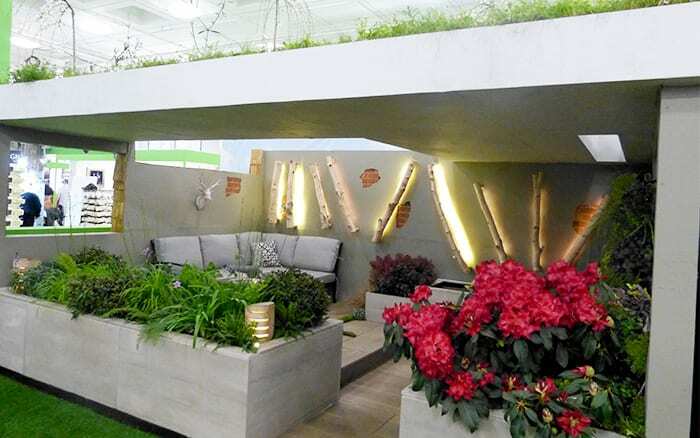 Judges loved this garden, especially the sunken seating and intimate feeling. They admired the recycled elements and praised the educational plant labels, calling them inspiring. 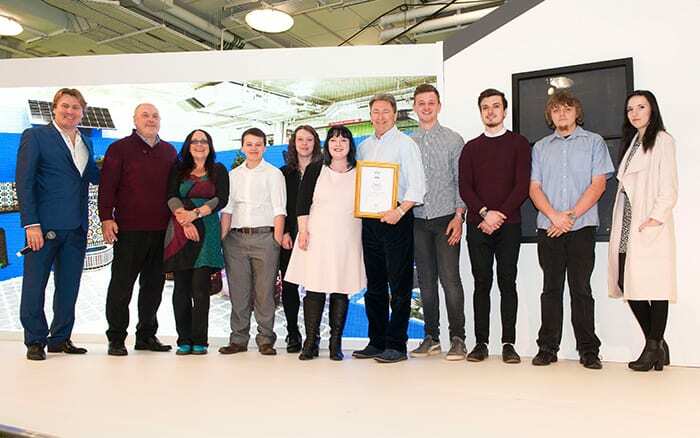 Pershore College was awarded a Gold Medal. 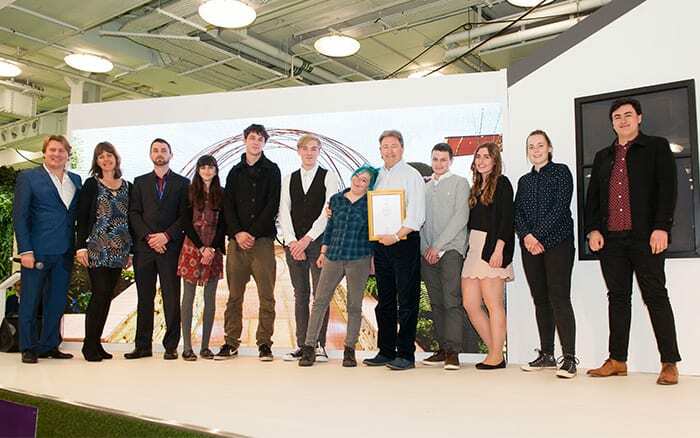 Students from Writtle College designed a basement garden filled with lights and lush plants underneath a roof covered in meadow grass. The judges loved the brave choice of design, noting how hard the students had pushed themselves. They loved the sophisticated, urban feeling and use of shade-tolerant plants. 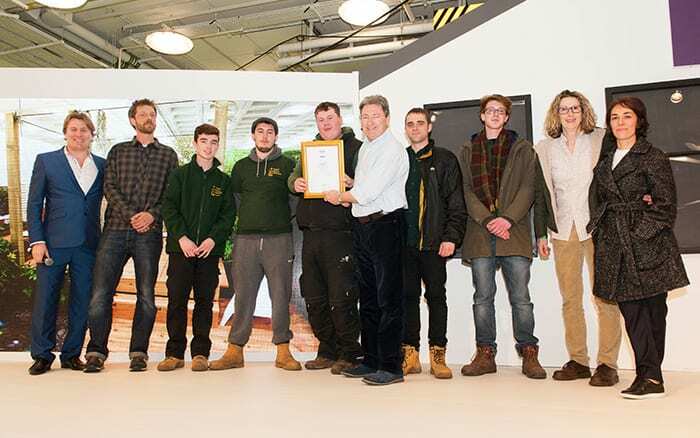 Writtle College was awarded a Silver Medal. The judges took a long time choosing their favourites, and the results were close. They described all the gardens as very different and extremely high quality. But only one garden could win the Best at Show trophy, and the winner is… Askham Bryan College! 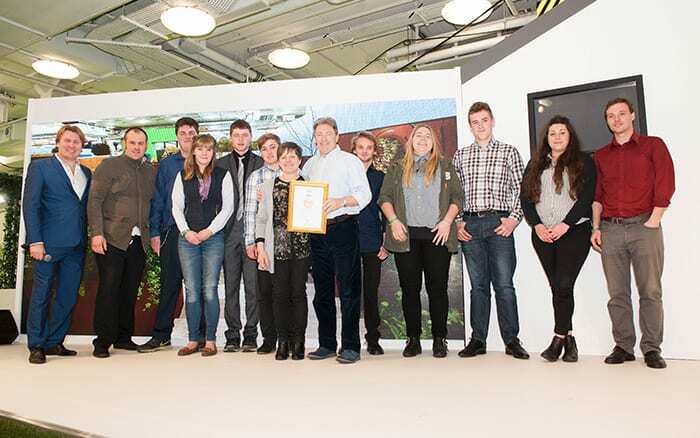 Congratulations to everyone at Askham Bryan College, and to all our colleges and talented young gardeners! 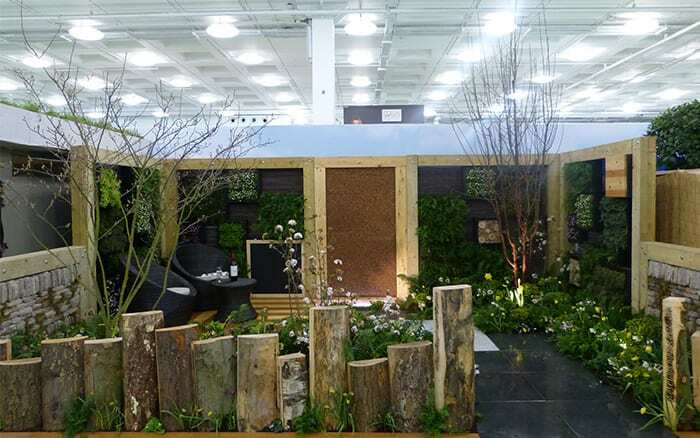 The gardens are displayed at the Ideal Home Show in Olympia, London from 18 March – 3 April. 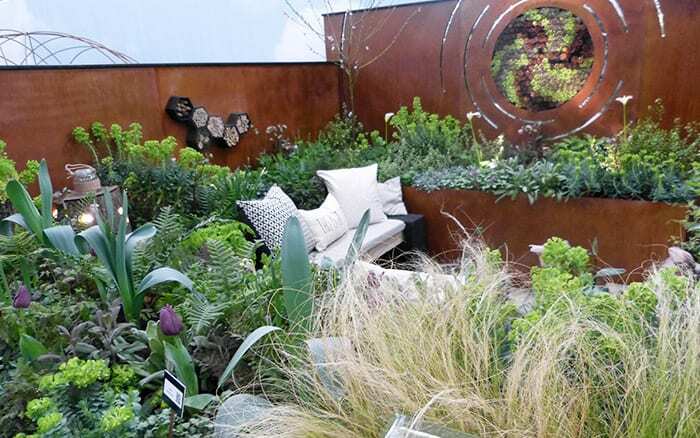 Remember, the public can also vote for their favourite garden to win the People’s Choice Award – look out for voting slips at the show gardens at the Ideal Home Show. See more pictures of the finished gardens here.